This entry was posted on Sunday, 10 December, 2017 at 21:54	and is filed under Nature. You can follow any responses to this entry through the RSS 2.0 feed. You can skip to the end and leave a response. Pinging is currently not allowed. Ants *can* of course bite with their jaws — indeed, many kinds of ant bite when they sting in order to get better purchase. 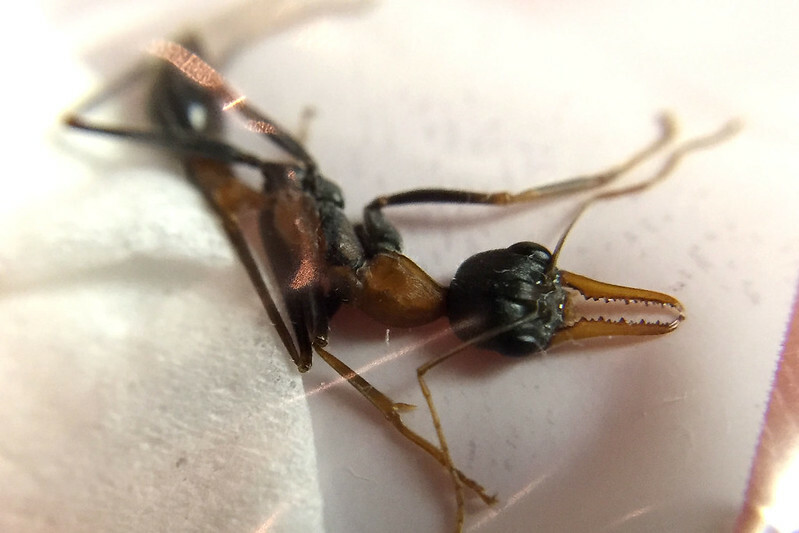 However bites are relatively less painful than a bull ant sting. Meat ants (Iridomyrmex purpureus) — which I had many encounters with as a child — don’t sting — they rely mainly on their bite; their jaws can efficiently slice flesh and the ants can be very aggressive if you’re near their nests: you definitely know when a few of them get hold of you.